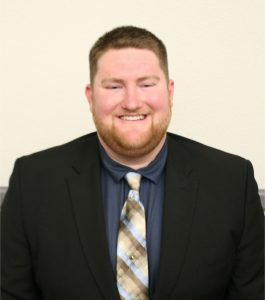 One of the biggest issues students face is applying what they learned in the classroom to the process of getting a job during accounting recruiting season. Jobs are not automatically given to students who study hard and get good grades. I have many friends who have a 4.0 GPA and didn’t even get a second interview. So what is the key to actually finding a job? In my experience, if your initial contact with a company is the application, you are way behind. Usually, people believe that applying to a position is the first step to getting their name in the hat. In reality, all the recruiters see is a name with no face. Unless you have some gold star on your resume, you’re likely to hear the line, “Although impressed by your resume, we are not going to move forward with your application.” If the application comes too late in the game, then what should we do before we apply? That is the million dollar question. You need to get to know the recruiters and help them get to know you on a personal level. Let them put a face to your name. Also, explain some of the points on your resume so they have a better understanding of who you are. The cliché phrase we all hear is, “When someone is interviewing you, they just want to see if they could hang out with you after work.” This statement couldn’t be truer. Employers want to hire someone who will do the job the best, but that’s very hard to gauge from a piece of paper, especially if that paper represents a fresh-out-of-college kid. Employers are looking for the minimum requirements, but if you can sell yourself as a genuine person, you increase your chances of getting hired. Sure, chances are your recruiter has little to no accounting experience. BUT the company managers hired these recruiters to sort through the applicants because those company managers don’t have time to get to know everyone applying. By the end of your journey, the recruiter should be your best friend. Sounds silly, but it is true. If you cannot have a conversation with your recruiter about a sports team, a restaurant, or an experience you’ve both had, then you failed. Talking to your recruiter should be as easy as talking to your best friend. Don’t forget, a “recruiter” also includes any professional who comes to campus to speak and network. That tax manager who was visiting campus from the Atlanta office? Recruiter. Get to know as many “recruiters” from as many firms as possible. The core work in accounting is the same in every firm, so it is the people who make up each firm that matters. As you meet more professionals, you will have a better understanding of each firm’s culture based on who you click with. When you apply for a position, the people you have met and spoken with will step forward and put in their two cents. Well, not quite. You need to research the area of accounting you would prefer to go into. Is it tax? Or audit? Or even private? This research is crucial because once you apply, there is basically no going back, as your next two interviews will be with partners from that area in the firm or company. If you chose audit, and your partner is interviewing you and you say, “Yeah, I don’t like to travel to other offices. I’m more of an in-office kind of guy,” well then kiss that offer goodbye. You need to know not only what you want to do but what you would be doing if you worked in that field. Always do extensive research about your field of interest. Now, I completely understand where you’re coming from. Sure, you want to work for a Big 4. Yes, it looks excellent on a resume. BUT, what if you don’t get an offer? Or what if during an interview, the interviewer asks, “So have you applied anywhere else?” You need to apply to anything and everything, within reason. Why not apply for a smaller firm? What is the worst that could happen? They offered you the job and now you have to pick between jobs? That is a much better position to be in then having no jobs to pick from. If you applied to six jobs, and all six made you an offer, you now have the leverage to ask for more benefits or a better salary. On the flip side, if you applied to six jobs and only got one, you just got a job! The interview process is very tricky and complex, but it is also the last drawbridge between you and the reward of a sweet career. This is going to sound cliché, but be yourself. The firms know that you are a student and have little technical knowledge. They are not trying to test your journal entries or excel skills. The interviewer just wants to get to know YOU and how your personality will fit with their firm. If you’ve followed step 1, then chances are, you will already know your interviewer. If so, the interview is more like a conversation than a Q and A session. Remember, don’t be nervous, don’t be afraid to talk and ask questions, and don’t worry if you gave a bad answer. The process is scary, but it only gets worse if you psyche yourself out and throw in the towel halfway through. I had an interview that I thought went horribly, but I didn’t let it show during the interview, and I actually ended up getting the job offer. Even if you think the interview is going up in flames, your interviewer may think it’s going better than they expected! A big key to the interview process is that most firms ask you similar forms of the same question. One of the biggest scenario questions I got in all of my 12 interviews was: “Tell me about a time in which you worked on a group project and you had a member who was not participating or contributing. What did you do?” These situational questions have a term, they are called behavioral questions. The STAR technique will help you answer any behavioral interview question (google it!). Here are some pro interview tips: Look into appropriate attire, interviewing etiquette, and the STAR technique. Also, check out your school’s career resource center for interview and resume assistance. You will be surprised by how important the little details are! Finally, always send a Thank You email or letter depending on the time of notice. Just send a generous note letting the interviewer know you are very appreciative of them taking time out of their day to interview you. Don’t forget, these people interview so many applicants that names are easily forgotten. So, in your Thank You note, always include a memorable experience to help your interviewer remember you. If you spent 10 minutes bonding over your love for reading and you received a book recommendation, include it in the letter! Hopefully, these insights help you have a very successful recruiting season. Never be afraid to ask questions and get specific with employers, and always be you! 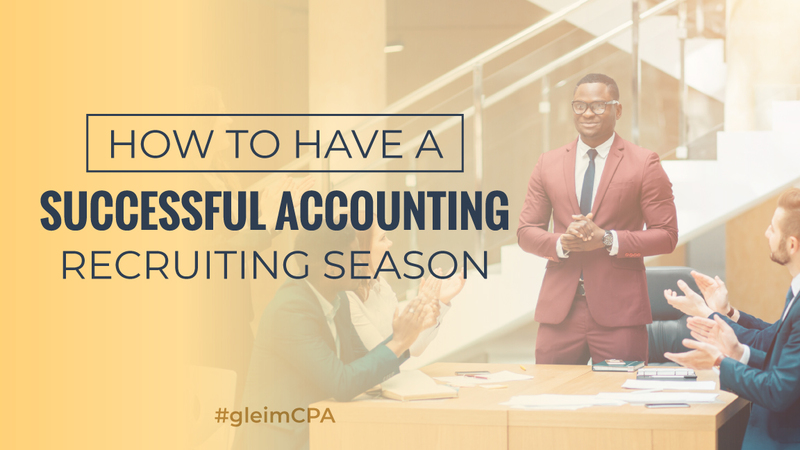 Another way to win accounting recruiting season is to start studying for the CPA Exam. With the words “CPA Exam candidate” on your resume, you’ll definitely stand out among the other applicants. Learn everything you need to know about the CPA in this free CPA Exam guide.